Out 30th June Preorder - https://gobstopper.bandcamp.com/album/8ths-16ths-princess-anna @lloydsb A1. 8ths, 16ths B1. Princess Anna http://gobstopper-records.co.uk - Sheffield born production prodigy Lloyd SB has long been a secret weapon of the underground instrumental grime scene. His assertive club tracks have been staples in radio sets from the likes of Murlo, Scratcha DVA, Slackk and more, with his dominance over the more hard-edged side of grime production looking set to continue with his inaugural outing for Gobstopper Records, ‘8ths, 16ths/Princess Anna’. Opening to a cacophony of warped snares, the release’s A-side swells early on with a glistening soundscape, providing the perfect build thanks to buried mechanised percussion before pushing its rhythmic elements to the forefront. Using full frontal percussive artillery as its main focus, ‘8ths, 16ths’ almost completely removes any trace of melody in favour of unrelenting kicks, twisted snares and glass shatter sounds - providing a destructive take on the modern club blueprint. 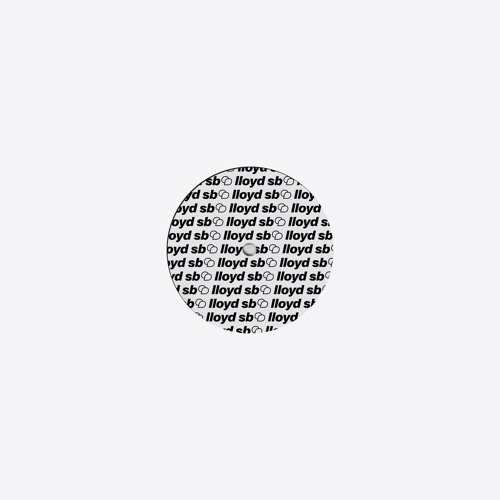 The release’s second track exhibits a more melodic if no less frenetic side to Lloyd SB’s production. Set to a pummelling bed of laser-esque bass sounds, ‘PRINCESS ANNA’ is a chaotic blend of 8 bit bursts, rapid-fire arpeggios and affected cymbals. Finding rhythm in the track’s space, ‘PRINCESS ANNA’’s beat becomes more and more sparse as it progresses, utilising dizzying panning and hints of vocal chops as the sole human element in an instrumental that’s as hard-edged and cold as they come. As an artist that’s widely considered amongst his contemporaries to be one step ahead of the game, Lloyd SB’s debut release for Gobstopper is a disorientating but focused example of forward-thinking club music. Both tracks embody the sound of a master of their craft, experimenting with their genre to push it into more devastating, and above all else, original places.